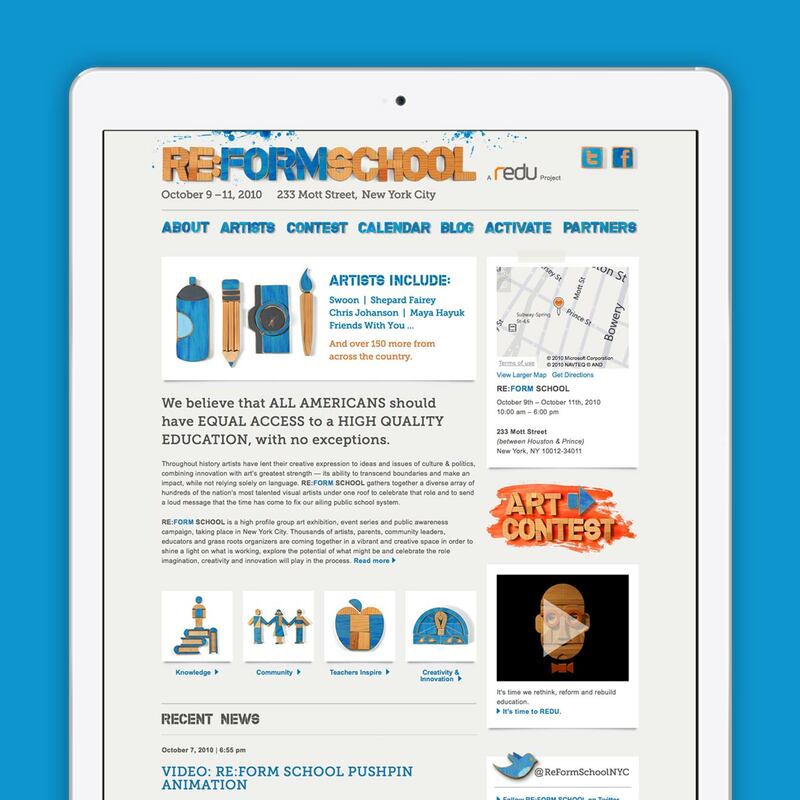 We were honored to work with Yosi Sergant’s TaskForce team to design the website for this great art event aimed at raising awareness about education reform. Icing on the cake: the super sweet branding designed by HunterGatherer. Exhibitions and events open this Saturday on the grounds of NYC’s oldest catholic school – corner of Mott & Prince. The event features works by over a hundred artists – including Chris Johanson, Friends With You, Shepard Fairey, and Swoon – along with some great workshops and activities all weekend.